Some new and exciting events have appeared on this weekend’s calendar, so Kumnooh is coming at you again. 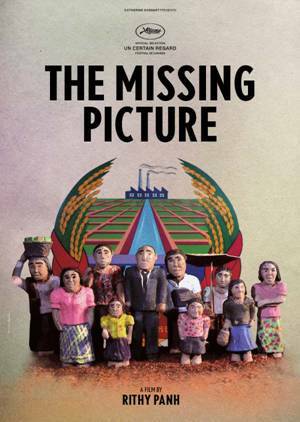 On Saturday night, August 3, at 6.30 pm, Bophana Center (St 200, between St 63 and Monivong) hosts the Cambodian premiere of The Missing Picture, Rithy Panh’s latest film that recently won Un Certain Regard at the Cannes Film Festival. Advance bookings are recommended (missingpicture.film@bophana.org), and tickets are to be picked up at least 15 minutes beforehand. Cost of admission is $5/$2 (students). The Saturday premiere kicks off a week of screenings of the film, every night at 6.30 pm until August 10. Bophana also proudly announces an upgrade to their screening room, now with soundproofing and staggered seating. And note: if you miss the Meta House screening on Thursday 1 at 7 pm, Bophana Center also presents Kalyanee Mam’s documentary film A River Changes Course on Friday 2 at 3 pm, with a Q&A with the director to follow. 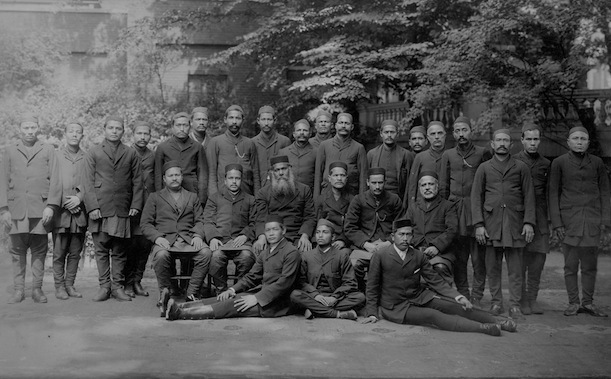 Then on Sunday 3, Meta House presents a new exhibition, The Chitrakar Collection, a selection of photographs covering over 100 years of development in Nepal through the eye of the Nepalese state and royal court photographers, a post handed down through one familiy. Third generation state photographer Kiran Man Chitrakar is in Phnom Penh with co-curator Dave Kleiman to introduce the exhibition. Opening commences 6 pm; the show runs until August 29. Kalyanee Mam presents A River Changes Course at Meta House, Thursday 1 at 7 pm. Kalyanee Mam presents A River Changes Course at Bophana Center, Friday 2 at 3 pm. Tiana Alexandra presents From Hollywood to Hanoi at Meta House, Friday 2 at 7 pm. The Missing Picture, by Rithy Panh, Cambodian premiere at Bophana Center, Saturday 3 at 6.30 pm, then every night until Saturday 10.